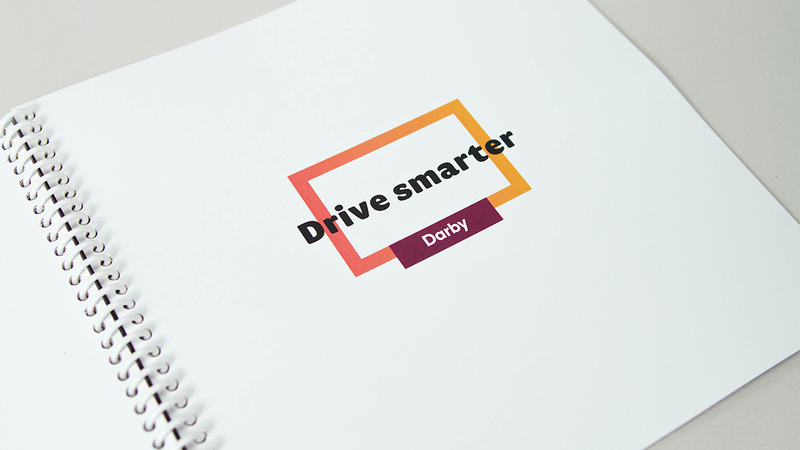 Darby is a usage-based insurance program that accompanies drivers by inserting into their vehicle’s data port. Using this tool, motorists are informed of driving patterns while Darby provides tailored feedback to ensure safe habits and save money on insurance premiums. Darby connects vehicles to consumers in a real way that positively benefits their wallet and their lifestyle. 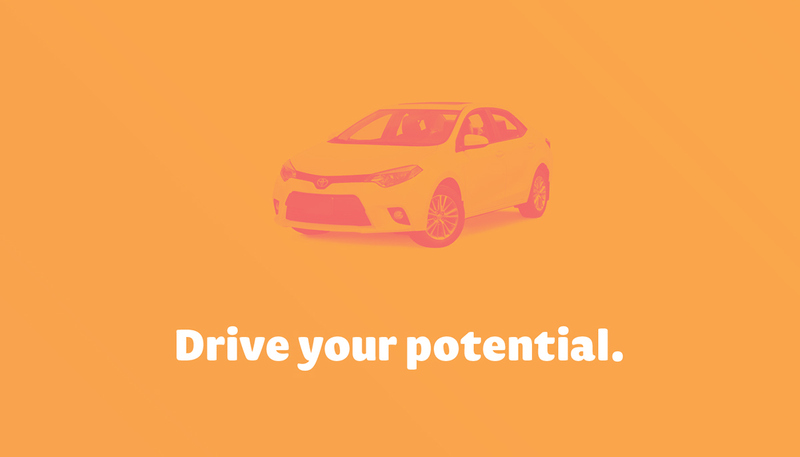 The identity is built as a universal symbol of better driving. The mark is sophisticated and simple, communicating motion through an abstracted set of wings and wheel. Dynamic colors allow for a comprehensive application system that consumers can trust and recognize. 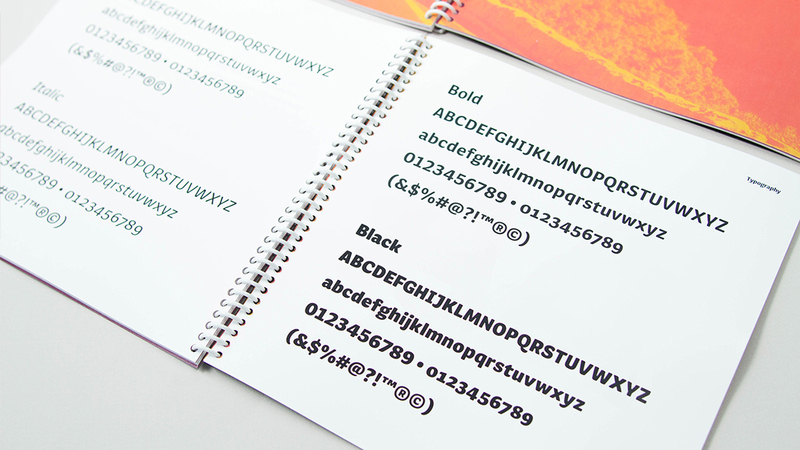 Darby employs Pimlico as its exclusive font family: a versatile and energetic typographic system, excellent for Darby’s voice and tone. To connect with Twin Forrest, visit our website, follow along on Twitter, or keep up on Instagram. Thanks! 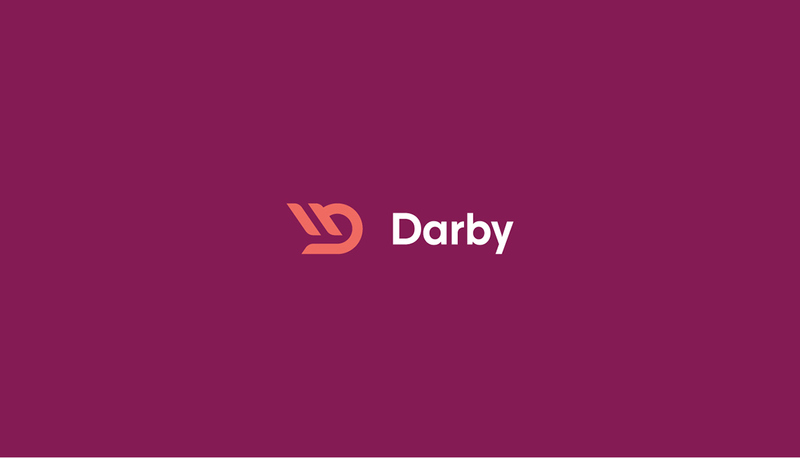 Darby is a usage-based insurance program that accompanies drivers by inserting into their vehicle’s data port. 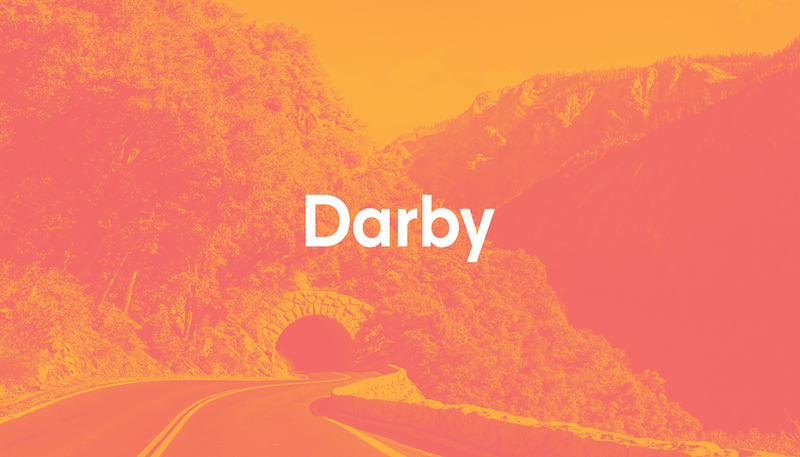 Using this tool, motorists are informed of driving patterns while Darby provides tailored feedback to ensure safe habits and save money on insurance premiums. 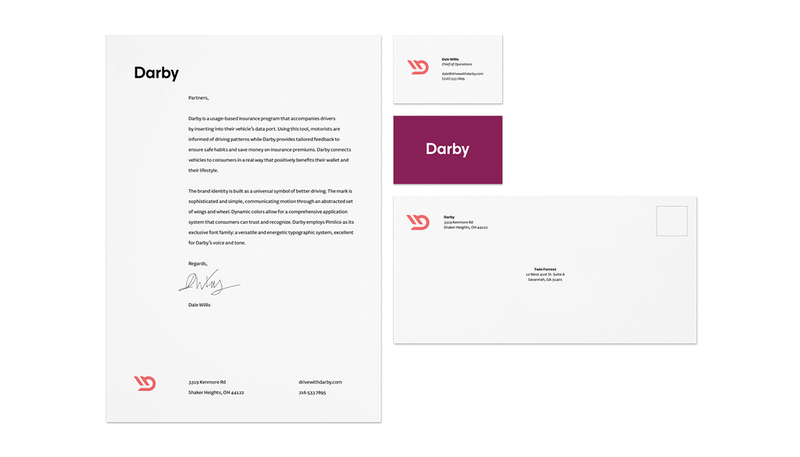 Darby connects vehicles to consumers in a real way that positively benefits their wallet and their lifestyle. 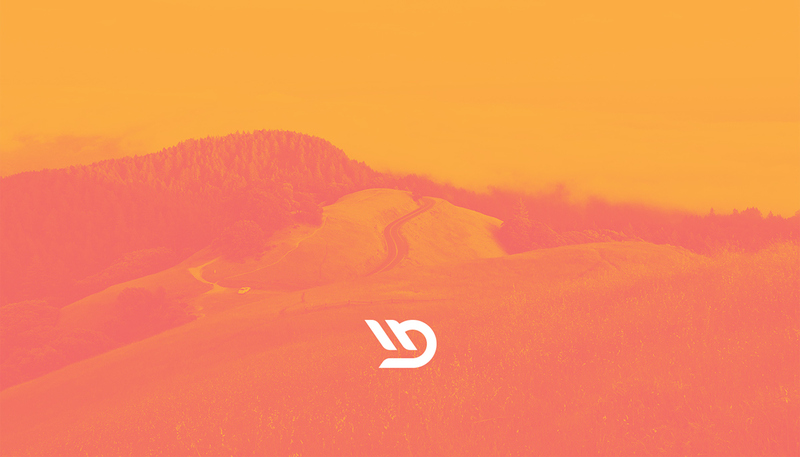 The brand identity is built as a universal symbol of better driving. The mark is sophisticated and simple, communicating motion through an abstracted set of wings and wheel. Dynamic colors allow for a comprehensive application system that consumers can trust and recognize. Darby employs Pimlico as its exclusive font family: a versatile and energetic typographic system, excellent for Darby’s voice and tone.